A family from Hampshire have successfully claimed £15,380 in holiday illness compensation after severe illness and infection forced them to return home early from their stay in Egypt. Amanda Rowley jetted out to Sharm El Sheikh on 16th August 2014 for a 10 night stay at Thomsons five star Sensatori Resort with her husband and two children Oliver and Lilly. 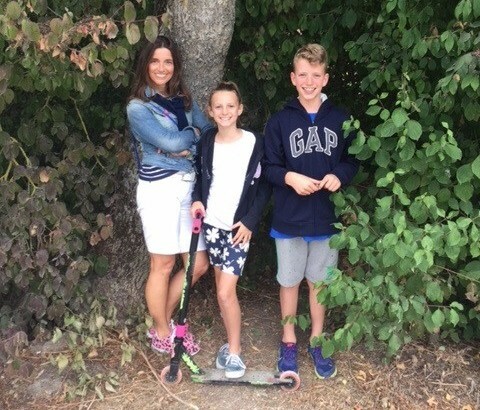 The familys high hopes for a fun filled family break were soon ruined when Mrs Rowley and her children fell ill.
On the 20th August, Mr and Mrs Rowleys 12 year old son Oliver began to suffer symptoms of Bronchitis, diarrhoea and stomach cramps. By the evening Oliver was feeling increasingly unwell and was awoken during the night with laboured breathing, shivering and a high temperature. Concerned Mr and Mrs Rowley took Oliver to the resort doctor for help who prescribed Oliver a course of medication to ease his symptoms. By this time however the familys ordeal had worsened still as Mrs Rowley had begun to experience excruciating stomach cramps and diarrhoea. With half of their party bedridden by illness, the Rowleys treasured family holiday was already in ruins but was to get worse still on the 22nd August when their youngest child Lilly became ill. 9 year old Lilly began to suffer severely with crippling stomach cramps, diarrhoea and a high temperature. The Rowley family could take no more and were issued a fitness to fly certificate from the resort doctor which enabled them to fly home to the UK 3 days early. Upon their return home, the Rowley family sought emergency medical care and were appalled to discover the root of their illness. Results from a stool sample confirmed that Mrs Rowley had contracted Giardia Lambliasis, a highly unpleasant parasite which reproduces in the small intestine. Giardia Lambliasis is commonly contracted through contaminated food and produce and often as a result of poor hygiene practices. If you believe you’ve suffered giardiasis on holiday, please take a look at our giardiasis holiday illness compensation page to find out how you can claim. Speaking to experts at Your Holiday Claims of their stay, Mrs Rowley recalled swimming pools littered with debris, flies feeding from the buffet and food recycled from one mealtime to the next to be just a selection of the poor hygiene practices witnessed at the luxury Egypt resort. Test results for Oliver also suggested food borne infection Salmonella Enteritidis and Aeromonas Caviae to be the likely causes of his illness.Â Active, fun loving Oliver became noticeably more tired and run down in the months following his illness and continued to require tests and treatment. Olivers younger sibling Lilly was also to suffer several months of ill health and lost considerable weight due to the ordeal. Test results attested Lillys illness to Salmonella and Giardiasis Lambliasis. The Rowley familys recovery was to take several months including multiple visits to their local GP, embarrassing faecal accidents and time off from school for Mr and Mrs Rowleys young children. Mrs Rowley commented: âIt has taken us more than a year to recover but what is worse for me is, I have been so put off package holidays now. I really can’t see myself or our family doing another one. With the help of Your Holiday Claims expert Sue Robinson, the Rowley family have now successfully recovered £15,380 in salmonellaÂ holiday illness compensation from tour operator Thomson. You read more on making a claim for salmonella on holiday here. Holiday illness specialist and solicitor of Your Holiday Claims, Sue Robinson commented: âI am extremely pleased to have helped the Rowley family secure compensation following the continued distress caused by their stay at the Sensatori Resort in Sharm El Sheikh, Egypt. âI would strongly encourage anyone who has found themselves in a similar unfortunate position to seek expert legal advice as they may also be eligible to pursue a claim for compensation. If your hard-earned holiday has been ruined by illness, within the last three years, our specialist holiday illness solicitors could help you make a no win no fee claim for compensation. To find out what your claim may be worth, callÂ today on 0330 100 2851. Or, you can arrange a call back with one of our experts by completing our quick online holiday claim form.